The World cup today sees 2 of the tournament favorites start their respective groups, Brazil and Germany. These are the teams that put on a memorable display 4 years ago when the Germans beat the Brazilians on their home turf with an astonishing 1-7 result (which some of the South American fans hope to revenge this time round, although most of them dream of avoiding the Teutonic machine altogether). 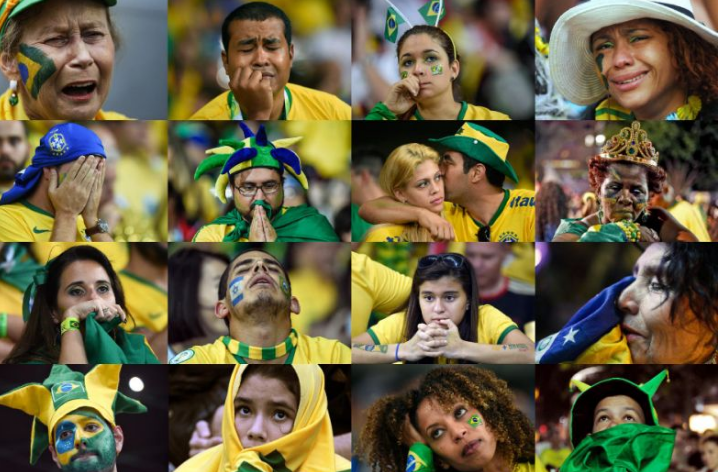 Back then, the Brazilians were taught a harsh lesson in reality football when the Germans beat them fair and square and the images of South American fans weeping in the stadium went around the world. After half an hour of play already, the Brazilians needed to overcome a 0-3 defeat and it was clear they were getting outclassed. Germany went on to become World Champion, beating Argentina in the final. This time round, the Brazilian ‘Selecao’ looks much stronger (opening against Switzerland today), even though many are fearful for another drubbing against the Germans and therefore as from the knock-out rounds they are silently hoping another team takes out the ‘Mannschaft’ (as the German team is known) so to avoid them altogether in the Russian tournament. Germany itself meanwhile, which breezed through the qualifying rounds, scoring some 43 goals and conceding just four. Their opponent of today, Mexico, will certainly be aware of Germany’s incredible tournament strength where they average almost four goals a game in their opening World Cup matches since last losing their first tournament game in 1982 against Algeria.